Located in the heart of Miami, the company is specialized in kitchen and bath remodeling services. The company offers unique solutions to give your kitchen and bath a completely fresh and refreshing look. The creative design team having access to the latest trends of the market continuously works on the improvement and finding better ways to serve the customers. Moreover, the company offers all kitchen and bath remodeling solutions at an affordable price. Whether the remodeling is traditional or contemporary, Miami-dade kitchen & bath remodeling is a perfect choice. Miami-dade is providing the service of kitchen and bath remodeling for many years. Hence, years of experience in the field of kitchen and bath remodeling helped us to win the trust of our loyal customers. Are you looking for a complete overhaul in the kitchen? If you are looking for remodeling the kitchen, Miami-dade is the perfect place. Miami-dade helps you from the initial design stage to the finishing touches. Yes, the kitchen is the soul of the home for a family. Our design professionals will make sure that the kitchen includes all the features that you are looking for. From the past experience, we understand that the process of remodeling your kitchen can be disruptive to the existing work. Hence, we are committed to complete the project well on time and reduce the impact of disruption. Kitchen cabinet is the first thing that any person visits your kitchen will notice. The company believes in providing the quality services by using the best brands. The cabinets are available in different varieties such as tedd wood, Merillat masterpiece, marsh furniture, custom cabinets, solid wood construction, and dovetail to stainless steel drawer, soft- close features, stain, paint, exotic veneers and high gloss finishes. Cabinet Refacing and Custom Cabinetry are considered as budget-friendly options to upgrade the cabinets. You are not required to tear the cabinets out. Cabinet refacing is used only when there is no any changes in the existing design and the cabinets are in a functional condition. This is another focal point of the kitchen. Having the best luxury countertops gives the most beautiful and amazing look to your kitchen. The kitchen countertops can be of quartzite, quartz, limestone, soapstone, marble, travertine, Corian, Cambria, caeser stone, Pompeii, and granite. Are you looking for setting up the outdoor kitchen? It is probably one of the best ways to utilize the backyard. Further, you can also spend the time with your family while preparing the dinner at the outdoor kitchen. The outdoor kitchen is available in different shapes and sizes. The outdoor kitchen may be of U-shaped, L-shaped or may be an Island type. The outdoor kitchen can be fixed or built in and it also can be movable. The team of professionals at Miami-dade will suggest which design does best suits your outdoor area. The outdoor kitchen with Miami-dade is available in louver, shaker, slab, and it is 100% weatherproof. Are you looking to give your kitchen the complete makeover? Miami-dade offers a range of tiles and stone which best suits to your interior of the kitchen. Whether you want your kitchen to look contemporary or traditional, you will be stunned by the product range offered by us. This will help in the complete transformation of your kitchen. You can either browse on the options that are available on a website or also you can visit our store. Miami-dade is offering so many options for the kitchen backsplash paneling. From contemporary to the traditional backsplash, Miami-dade is the one-stop solution for your kitchen backsplash panel. The backsplash paneling is available in different forms such as granite, tumbled marble, glass, glass tile, metal tile, stainless steel, subway tile, stone, porcelain, and travertine. It is important to note that painting the kitchen is different from painting the other area of the home. The reason is you have the limited space where you need to choose the color combinations wisely. 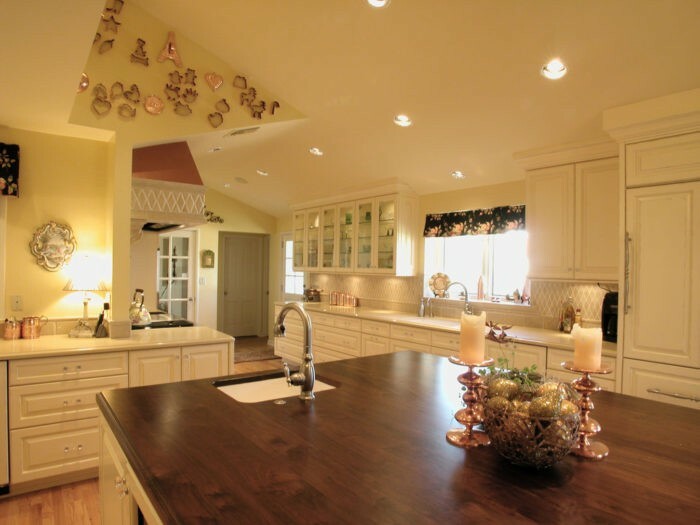 The best possible combination of paint colors will give a wonderful visual effect of the kitchen. Our team of experts will help you in figure out which color best suits your kitchen. Moreover, we also help you to choose a paint finish while you are choosing the paint color. We believe in sustainable development. Our aim is always to serve our clients by using most green and eco-friendly methods of remodeling. We follow the best practice of the industry to make your kitchen more energy efficient and environmentally friendly. If you are looking for someone who can help you in designing the green and eco-friendly remodeling you can choose us. Are you looking for someone who can set up your new commercial kitchen or renovate the existing one? Are you looking for someone who can help you in most efficient yet affordable prices? Space is a constraint and because of that, the design has to be carried out effectively. Further, once the restaurant is set up it is not easy to carry out major modification such as changes in the installation of drainage, gas supply, and electrical wirings etc. This can be the expensive task. It is obvious that such a big overhaul or set up requires a professional team who can work on the project having good experience in the field of kitchen remodeling. We, at Miami-dade kitchen remodeling help in designing the kitchen of the restaurant and optimum utilization of the limited space. We take the suggestions from all the management team and chef of the restaurant. We also understand the menu that the food which the restaurant is going to offer. This helps us in planning and designing overall kitchen. When you enter the kitchen in the morning, the first thing that you do is to switch on the coffee maker and make the coffee. You take out the juicer and make the juice for you and your loved ones. You use the sandwich maker to have the sandwich for breakfast. From simple coffee maker to big size induction, we at Miami-dade kitchen and bath remodeling offer a wide range of kitchen appliances for all your kitchen needs. We also offer a different variety of kitchen accessories which are internal features and that will maximize a new kitchen such as, roll-outs, spice drawers, and charging stations. Besides above services described we also provide below services for kitchen remodeling. Installation of Kitchen Sinks, Fixtures, & Faucets which are available in different forms such as stainless steel, porcelain, stone, composite, glass, vessel sink, sinks, taps, and knobs. Refinishing of Kitchen Cabinet with paint, stain, glaze, and other customized finishes. Installation of Kitchen Windows and Doors in the forms such as casements, single hung gliders, etc. in Low-E, Insulated or high impact glass. 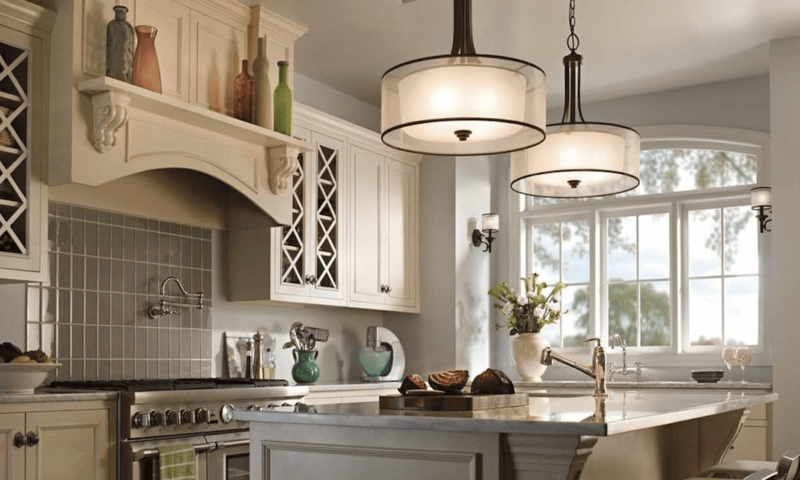 Installation of Kitchen Lighting such as recessed, pendant, under cabinet, task lights, general, accent, and LED. 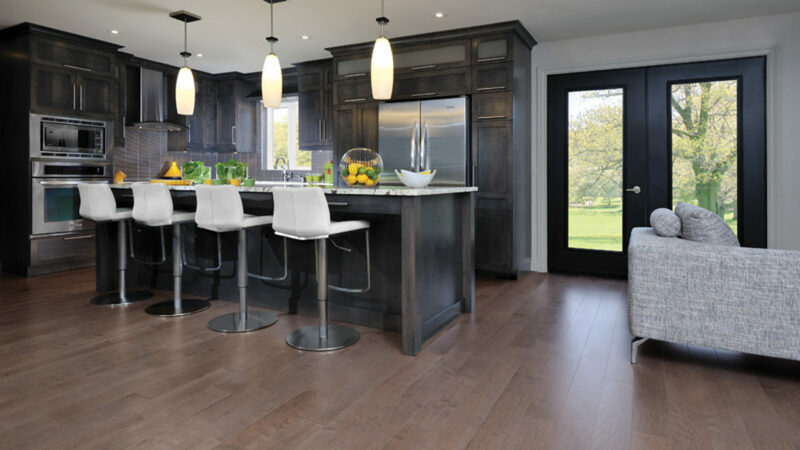 Kitchen Flooring in different forms of arts such as ceramic, porcelain, travertine, marble, limestone, pavers, slate, wood, coral stone, coquina tile, Mexican shell stone, Mexican tile, onyx, stone floors, and walls. Creating a bathroom of your dream, of course, becomes simple when you approach Miami-dade. We provide a wide range of showers from traditional to contemporary which is durable and affordable both. Further, we do not take much time in renovating so your routine also does not get disturbed. We help in tub installation and tub surrounds or shower surrounds in the bathroom. Our aim is to give the best sensational water experience by using our tub and shower. We use different safety accessories also to ensure that your bathroom space can be secure with the child in the bathroom. If you want a remodeling of your small bathroom at an affordable price, we can do that for you. While understanding the requirements of your bathroom we keep the budget also in mind. The professionals of Miami-dade can design the personalized style as per your requirements. We have successfully accomplished a wide range of projects and we are continuously working for the better experience of the customers. The company is specialized in the field of kitchen and bath. However, the company also takes up the project for remodeling of the entire home. Years of experience in the field of remodeling business and track record of the successful project has given us a competitive edge and allowed us to cater the customers for home remodeling. If there is any additions or alteration to your existing home, we can serve the best. We have got years of experience and all the required skills to make your home look beautiful. Miami-dade kitchen and bath remodeling is family owned and independent company in Miami. Just give us a call or visit our store in Miami and we help you to build the kitchen and bathroom of your dream. In case you have been looking for the best kitchen and bathroom remodeling contractors, your search has finally come to the end. We deliver the best remodeling projects at affordable prices. Get in touch with us to get your free quotation now.